He bet that college would help him move up. Was it a good bet? At 19, Mario Martinez felt fortunate to have escaped his rough neighborhood and enrolled in a community college. But the odds that he would earn his degree and achieve the life he wanted were still against him. Mario Martinez wanted something more for himself. It was 2008, and he was installing wood floors in fancy houses. He would wake before sunrise, eat some eggs, and drive to his job. Sometimes he'd work until 11 p.m. Then he'd get up the next day and do it again. He was 19, and he thought to himself: When I get old, am I going to be doing the same thing? It was kind of startling to be thinking about his future at all. He'd grown up in Langley Park, Maryland, a poor community just outside of Washington, D.C., with his parents and three brothers. "We grew up in an environment where we didn't have any goals for life," he said. He wasn't sure he would live to 19. Several of his friends had been killed, shot and stabbed in gang-related violence. "We would hear police every night, we'd hear gun shots, we'd hear people scream," he said. As a little kid, Mario worried about being shot when he got off the school bus. By the time he was a teenager, he was caught up in life on the streets. Mario spent seven months locked in a jail cell when he was 16, arrested for suspected gang-related activity. But Mario had gotten out of his violent neighborhood and found steady work. Now he faced a future he hadn't expected to have. He didn't want to work construction forever, but he had no idea what else he could do. So he started asking people at the houses where he installed wood floors. "We would go to a lot of big people's houses, like mansions," he said. "And I started asking a lot them what they do, like what was their career?" They didn't go into detail about what they did for a living, but they told him the way to a good career is a college degree. So Mario decided he would go to college. I met him in the summer of 2008, on the third day of his first college class. He was wearing rimless glasses and a turquoise golf shirt. He struck me as bookish and shy. I knew nothing about his past. I was there to begin a reporting project on Hispanic students in community colleges, and Mario responded to an interview request I'd submitted through his professor. I ended up interviewing him several times for a 2009 documentary called Rising by Degrees. Most students who start at community college don't graduate. Though Mario had overcome a lot in life just to enroll in college, the odds were against his earning a degree. This year, a decade after we first met, I caught up with Mario again to find out what happened. There's a kind of college that occupies the American imagination. It has lush lawns, stately ivy-covered brick buildings and students strolling across a quad on their way to the dining hall. Mario didn't go to a college like that. He went to Montgomery College, a two-year community college in Montgomery County, Maryland. Mario enrolled at the Takoma Park/Silver Spring campus, just a few miles from his house. The campus is a collection of slightly worn, brown-and-tan cement buildings. There are no dorms or dining halls. Everyone commutes, most students go to school part time, and the average student is 25 years old. And like Mario, lots of the students are the first in their families to go to college. Nearly half of all first-generation college students in the United States go to a community college. And most of them never finish. Brad Stewart, the vice president and provost of the Montgomery College Takoma Park/Silver Spring campus, put it bluntly when I asked him about the odds that a student in Mario's circumstances would graduate. "The odds in general are crappy," he said. More than a third of community college students quit by the end of their first year. Just 15 percent complete a bachelor's degree within six years, and the rates are even lower for black and Hispanic students. The reasons graduation rates are low go back to the reason students are in college in the first place. They're looking for a way out of poverty, and, as education researcher and author James Rosenbaum once put it, "poverty is a powerful foe." To begin with, growing up in poverty makes a child less likely to get to college: Only about half of students who graduate from high schools where most of the students are from poor families enroll in college after high school. That's compared to nearly 80 percent of students who graduate from wealthier high schools. Those who do get to college often face challenges students from higher-income homes don't. Students from low-income families are more likely to work while they're in school; more than a third of community college students work full time. In addition, most community college students are financially independent from their parents, meaning they likely pay their own tuition and living expenses, and more than a quarter of those students have children of their own. A big reason so many students struggle to complete degrees is poor academic preparation. More than 60 percent of community college students get placed in at least one remedial class; some students end up in several. Remedial classes cost money but don't count toward a degree. It's like paying to do high school again. Research shows many students who end up in remedial classes eventually grow frustrated and give up on college. Mario was placed in a remedial writing class based on the results of a placement test. That's the class where I met him in the summer of 2008. He wasn't frustrated to be in the class, though. He was grateful. "I need it," he said. He recognized there was a lot he didn't know. When he was little, he liked school. But by sixth grade, he'd pretty much stopped paying attention. He got in trouble a lot, couldn't care less about his classes. School wasn't for him. Or that's what he thought. But now he was trying on the idea that maybe he'd been wrong. "I don't know what I want to do or what I want to be yet," he told me in our first interview about a week after we met. "This is basically my first step to doing something new." No one in Mario's family had gone to college. His parents had immigrated from Central America. His mom cleaned houses for a living. His dad worked in construction. Mario's not sure he could have named a single college when he was in high school, not even the University of Maryland, which is two miles from the apartment where he grew up. Colleges and people who knew about them belonged to a different world, one he hardly knew existed until he got a glimpse of it in those mansions where he installed wood floors. A kid like Mario should learn about applying to college in high school, but he pretty much missed out on whatever college counseling his high school might have offered because he was kicked out of school in 10th grade. He earned his GED during the months he spent in jail. It's not that he cared that much about having a high school credential at that point. He did it because the GED classes were a way of not being stuck in his cell all day. 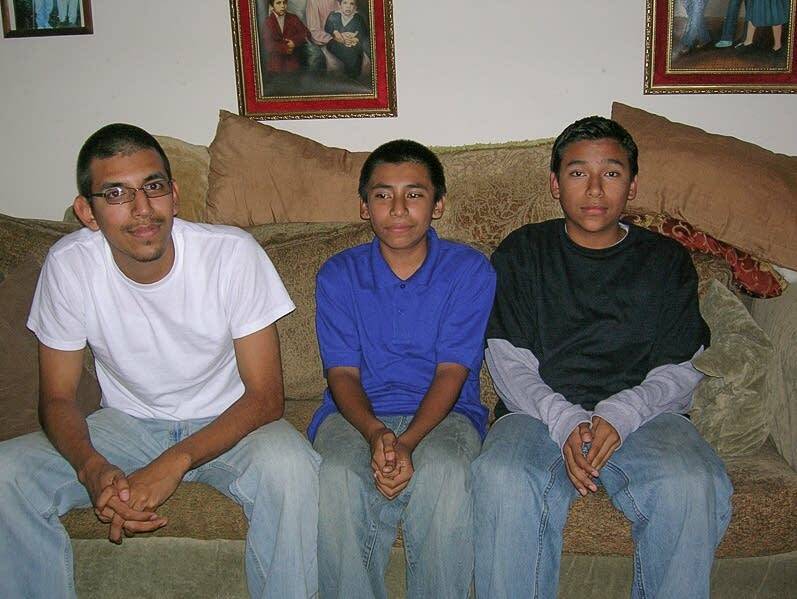 Mario was released from jail a week before his 17th birthday. "One day they just told me to pack my stuff and go home," he said. He was never tried for anything; all the charges were dropped. Most people who get out of jail go right back to the same toxic environments where they first got in trouble. But not Mario. While Mario was locked up, his father was killed in a car accident. Mario's mother used her husband's life insurance money to get her children out of their violent neighborhood. 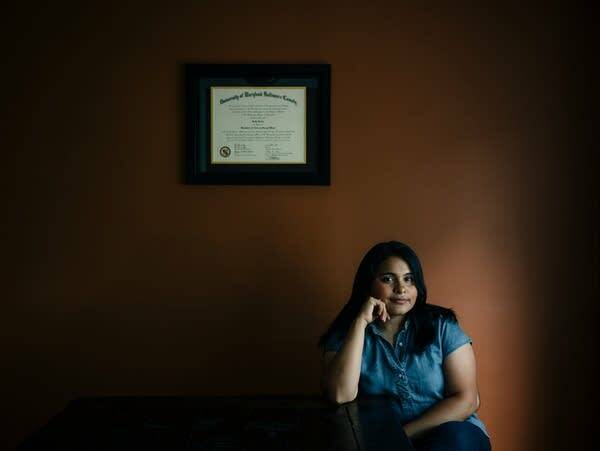 She bought a small house in a middle-class neighborhood in Silver Spring, Maryland, just three-and-a-half miles away from where Mario grew up hearing gunshots at night. When Mario moved into that house after getting out of jail, he didn't like it at first. "It's quiet at night," he said. "It was kind of creepy because I never slept in a quiet neighborhood. I couldn't sleep the first couple weeks." In Langley Park, there was so much chaos and stress that he could never keep one thought in his mind for very long. Now he would take long walks through the quiet streets of his new neighborhood and focus and think in a way he never had before. It felt so good, to relax and think about things. That's why, when the owners of those mansions told him he should go to college, he thought: Why not? Mario's plan was to go to Montgomery College for two years and get an associate degree, then transfer to a university for two more years to earn a bachelor's. "A lot of people always say University of Maryland. I was thinking of checking that out," he said. "I'm trying to fill in the blanks as I go." For Katy, college seemed like the way to a different life. She had no idea how hard it would be. Read her story. About halfway through his first year in college, it dawned on Mario that it was going to take him a lot longer than four years to complete a bachelor's degree. He was taking just one class at a time, living with his mother and two younger brothers, trying to find a job. It was the Great Recession, and work was scarce. His mom had given him her credit card to help pay for his classes. "She's proud," he said. "She doesn't want me to be like my uncles. Right now, it's winter, and I think some of my uncles are out laying bricks or making cement. While in the future, I can be in an office with a heater, wearing something nice. My mom wants that for me." But that future felt far away. Adding up all the credits he needed, Mario calculated it might take him five years just to get an associate degree. Otherwise, school was going well. He'd passed remedial writing, and by the winter of 2009, he was in his second college-level English class. And he was beginning to enjoy school. Growing up, he'd never been much of a reader. "Now I'm really starting to like reading 'cause I learn a lot," he said. "When I read I ask, 'Where they get all these ideas from?' So, it's become really interesting." 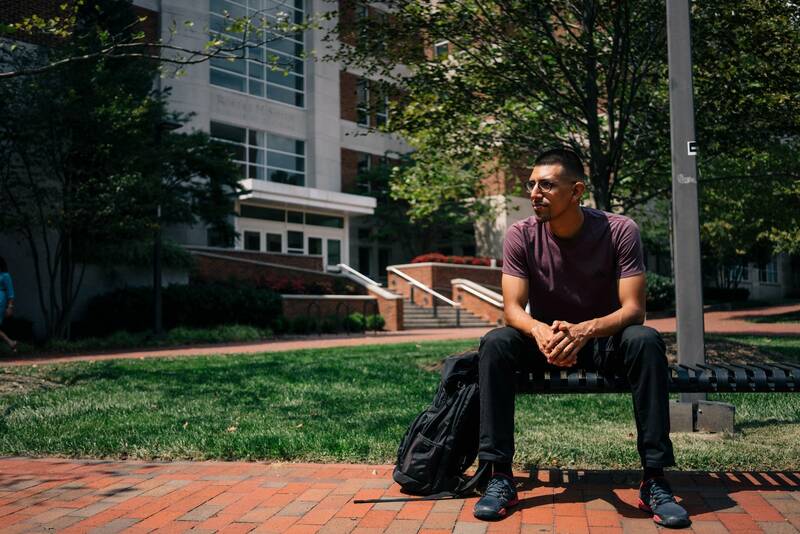 By the end of his first year of college, Mario had found a full-time job as a youth outreach worker in Langley Park, trying to get the next generation of kids who grew up like him off the streets and into school, jobs and rehab programs. But he was determined that his new job wouldn't get in the way of college. "I think I have more of a chance of getting a degree than I had when I started," he said. "Because I read more now. And homework is not too disturbing anymore. Now I see homework as something ..." He paused. "I say class is like a snack and when you really eat is at home, doing your homework. That's where you get your nutrients." A new world was opening to Mario through books and his classes. It was a world of ideas and possibilities he'd never known were available to a kid like him. But Mario had yet to encounter his biggest challenge: math. Though he hadn't made it through pre-Algebra before getting kicked out of high school, Mario somehow tested into college-level math. But he was terrified of math, and he'd been putting it off. His fear wasn't unfounded. The chief academic reason people don't complete college degrees is failure to pass the required math classes. Finally, in the summer of 2009, a year after he started at Montgomery College, Mario signed up for his first college math class. He struggled in the class and he ended up failing it. About a month later, he decided to withdraw from Montgomery College. But he had a plan. He was going to transfer to Liberty University, a private Christian school in Lynchburg, Virginia, founded by evangelical preacher Jerry Falwell. Church was a big part of Mario's life. He'd started going about a year after he got out of jail. Mario gave God credit for the fact that he was in college. He told me he was lost until he started going to church, and God put him on the right path. "I always tell everybody the change is God," he said. "Like only God can do that radical change. Most of the choices I was making was either going to end me in jail, crippled or probably dead." By transferring to Liberty University, Mario wasn't going to escape math classes. But he thought Liberty would ultimately be a better place for him. He read online that he could get a degree in Christian counseling there, and he was thinking he might want to do something like that. He'd driven down to Lynchburg to see the campus a few months earlier. "It's a lot of mountains," he said. "It looks real nice." Liberty was expensive — more than four times what Montgomery College cost. But he was planning to apply for financial aid. And he liked the idea of living in rural Virginia, going to school full time, speeding up the process of getting his bachelor's degree. That was the plan he described to me the last time I'd interviewed him, back in 2009. I arranged to meet up with Mario again in January 2018. We met at Montgomery College, in an empty office at the student center. I'd been friends with him on Facebook for a while and we'd exchanged emails a few times, even met up for dinner once a few years ago. But I'd never sat down and heard the whole story of what happened after he left Montgomery College. Mario went to Liberty University as planned. He took online classes for a while, and finally moved to Lynchburg to go to school full-time in August 2011. Montgomery College had been like another world for Mario; Liberty was like another universe. The affluence astonished him. A student's car would break down and he'd have a new one within a couple of weeks. "It was mind blowing," he said. "To see that people can have so much." And Liberty — where the median family income of students is about $75,000 a year — isn't even that wealthy compared to America's most prestigious private colleges, where family incomes are closer to $200,000 a year or more. 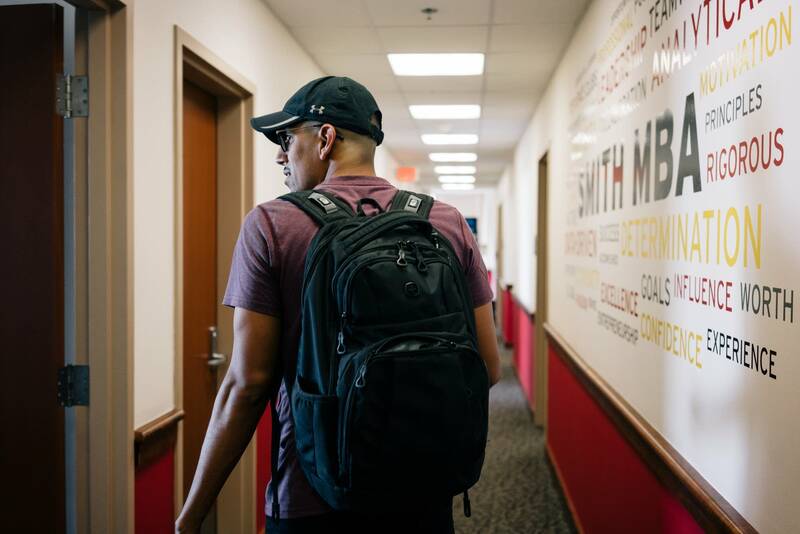 Mario didn't receive enough financial aid to cover his tuition and living expenses at Liberty, so he had to work, a lot. He washed dishes and helped on farms, sometimes working until a 1 a.m., then getting up at 5 a.m. to do schoolwork. During school vacations, while his friends and classmates were posting pictures of themselves on the beach, Mario would be at home picking up days doing construction, which paid better than farm work and washing dishes. He was always stressed about money. "There were periods where I'd make a decision between — should I buy gas, buy food, pay my bill?" His cell phone was cut off several times. He had debt collectors calling him. He never lived on campus, which was too expensive. Instead, he'd rent rooms, sleep on people's floors. "Sometimes I'd move within the semester," he said. "Mainly depended on what I could afford." What Mario observed among his peers at Liberty is that money had not just afforded them cars and vacations, but entirely different life experiences. His classmates seemed to have an expectation that they belonged anywhere in the world. They exuded a kind of confidence and openness that startled him. "Going to Liberty, I was trying figure out how people that didn't grow up in a rough neighborhood interacted with each other," he said. "What I learned was that people are more open, they're more transparent, they're not afraid that somebody will come back and try to harm them." Mario majored in psychology. He was fascinated by it, especially learning about the ways that trauma affects children's development. "Now I have a label or a concept or a theory to what we saw every day," he said, referring to his own traumatic childhood. Mario attended Liberty for three years. He lived in constant fear that he would run out of money or that his family would need him to come back home. His mom was still cleaning houses for a living. Mario's youngest brother had become a father at age 16 — he has a little girl Mario adores. If anything happened to them, if they needed money, Mario knew he would have to quit school to help them out. But luckily for him, everything at home stayed OK. 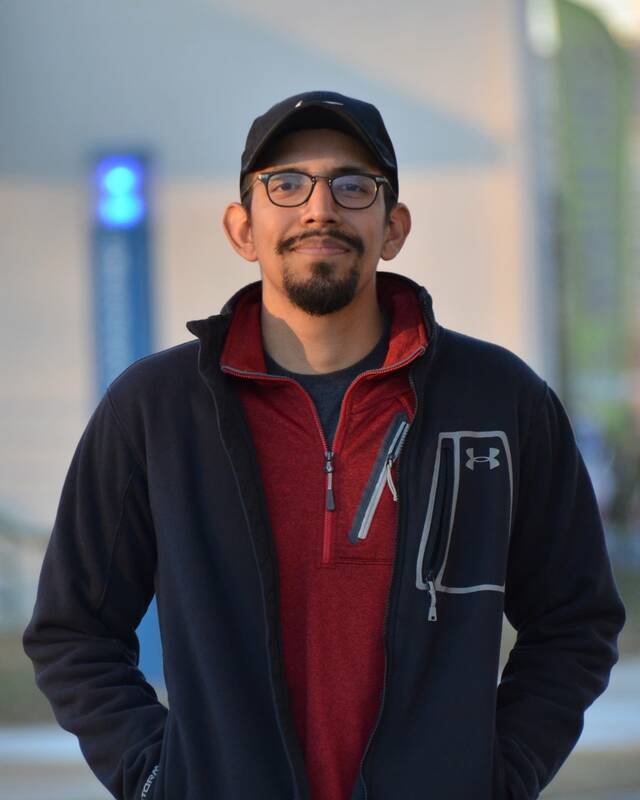 In May 2014, Mario graduated from Liberty with a bachelor's degree in psychology, six years after he'd started in that remedial writing class at Montgomery College. When we met in January 2018, he was a graduate student at the University of Maryland, College Park, the university he'd never heard of that was just two miles from where he grew up. He was pursuing an MBA, which he expected to finish in 2019. Mario had been working on a second master's degree in social work, to be able to help people who grew up like he did, maybe be a therapist or work at a nonprofit. But he'd decided to drop the social work degree. It came down to simple math. Mario didn't think he could afford to do social work. He said he has a "massive" amount of student debt; he wasn't willing to say how much. And while making a lot of money has never been one of Mario's main goals, he'll need a pretty big paycheck to tackle his loans. Plus, he wanted to help his family. He'd like his mom to retire from cleaning houses someday. He also wants to help his niece, who's 5. He wants her to have educational opportunities he didn't have. I asked him for an example. He said at one point during graduate school he was in a math class, and he was lost on some material that everyone else seemed to understand. He remembers asking a classmate, "Did you learn this in high school?" "Yeah, in middle school, at math camp." The classmate's parents had paid for him to go to math camp. It was one of those mind-blowing moments when Mario recognized what a divide there was between his life experience and the life experience of so many of his classmates. 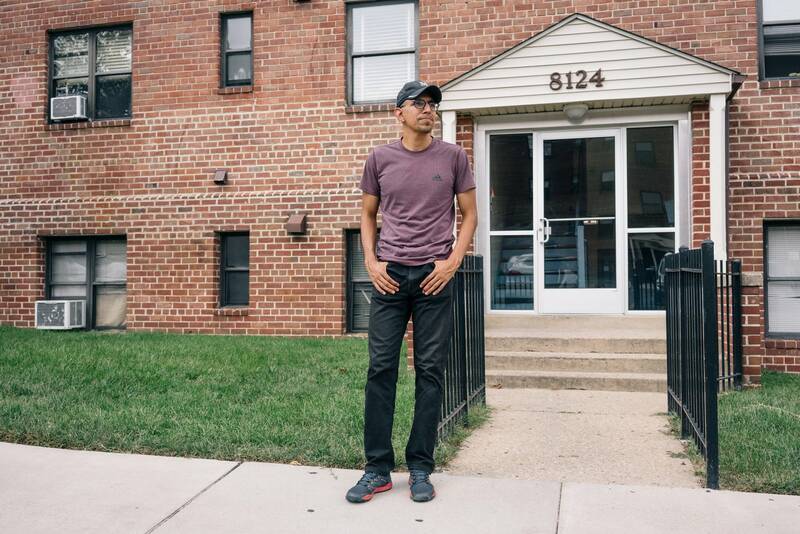 A kid like him growing up in Langley Park didn't even know about things like math camp. But an uncle with a college degree can find one for his niece — and pay for it. Mario now belongs to that other world that began to open up to him when he started college 10 years ago. It's the world of the college-educated, one increasingly foreign to many kids who are growing up poor, as educational achievement and income have become increasingly tied together in the United States. I asked Mario if he felt like he'd moved up. "Based on current income, no," he said with a laugh. "I am way below the poverty guideline right now." He was making just $600 a month as a graduate assistant. But with an MBA from the University of Maryland, he should be in pretty good shape eventually, once he gets out from under his student debt. Higher education has changed his life in ways that go way beyond future earning power, too. If he has children, they won't grow up in the kind of neighborhood he did. Even his relationship to religion has changed. After graduating from college, Mario left the church he'd been going to. He decided it was too "conservative" for him. He said the people who went to the church were mostly from rural villages in Central America, and they had very traditional beliefs. He wanted to find a church where people were more "like-minded." He said some of his ideas about God had changed. Before going to college, he would pray to God when he needed something like money to fix his car. What he learned at Liberty is that if you're a kid from an affluent family and your car breaks down, you don't have to pray to God. You can call a parent. "If my car broke down, it would mean that I didn't have a vehicle anymore, whether I prayed about it or not," he said. Recognizing that people with money don't have to pray to God for necessities made him rethink what he wanted out of his relationship with God. Mario says he has a stronger relationship with God now, because he's no longer looking to God for material things. That's what his college degree is for. "Higher education exposes me to what can be and gives me a sense of hope," he said. "I think I've held on to hope for a long time. Being in higher education helps me see that things are becoming possible." Now, at 29, he thinks back on his decision to start college 10 years ago and wonders what might have happened if he hadn't. "I think if I hadn't gone, I'd most likely be in prison," he said. That, or he thinks he would have ended up dead or injured from being shot or stabbed on the streets of Langley Park. "If I hadn't gone to college and those extremes wouldn't have happened to me, then I think I would've been working construction." He glanced out the window at the sunny January day. "So, college — although I don't think it's the only means to success — I view it as the method I've wanted to take. I'm aware there are people who can be successful outside of an education. I just want to have those degrees. It's like a personal, self-fulfillment, achievement thing that I want to have for myself." I asked him if he sees himself as someone who beat the odds. "I don't know," he said. "A part of me is aware that I've gone against some odds, and I think that's why it's felt difficult. But I'm not done yet. I guess until I complete my graduate degree, then I'm done with the odds." 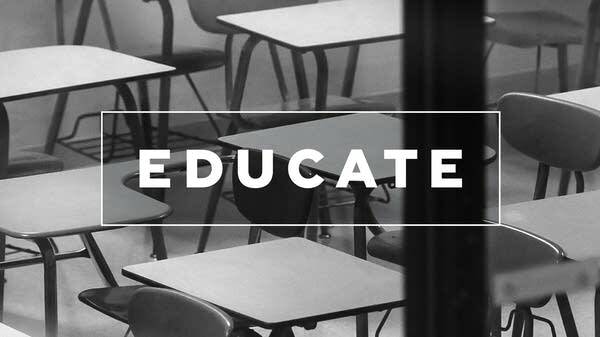 The 2018 season of four education documentaries can be heard via the Educate podcast.